Events during York Curiouser 2014 included walks, talks and workshops in conjunction with our partners and as part of the Festival of Ideas. Heinrich and Palmer discuss the process of creating their new work at the Red Tower, supported by Building Archaeologist Dr Kate Giles. 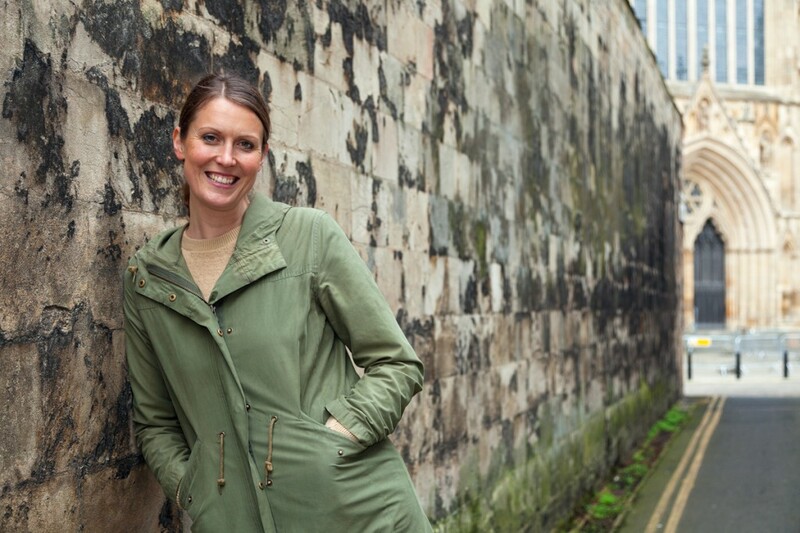 Artist Janet Hodgson will discuss her approaches to story telling and histories as she describes why Fishergate Posterntower has become a temporary site for a unique installation. Artist Susanne Davies and Co-Curator of York Curiouser Hazel Colquhoun will talk about the challenges of artists working in the public realm. Jacques Nimki is creating a new artwork in the grounds of the National Centre for Early Music. He will discuss his artistic process with Co-Curator of York Curiouser, Lara Goodband. Karen Thompson is creating a ceramic multiple for York Curiouser. She will talk about her practice and her work for the York Curiouser project. Sally Greaves-Lord is creating a new artwork in textiles that responds to the fabric of the medieval city and will discuss her process in an artists’ talk at the Quilt Museum. Writing involves listening both to voices and places. In this workshop we’ll explore how to make our writing echo with the sounds and voices of York’s snickets and yards. The workshop will include a 45 minute walk, weather permitting. Join John Wedgwood Clarke and Damian Murphy for a conversation exploring the themes of their residency and the process of collaboration that has led to their new sound installation at The Kings Manor. The talk will include a performance of their work. Co-Artistic Directors of York Curiouser Lara Goodband and Hazel Colquhoun will guide you round the site- specific installations that form York Curiouser. 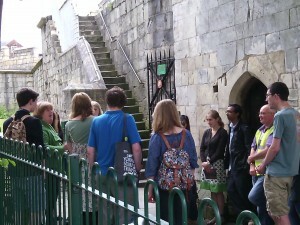 This walking tour will take in 10 sites including snickets and towers on the walls. We plan to complete the tour at the Red Tower on Foss Islands Road. We will be walking briskly to see everything. Some sites involve climbing steep and narrow stairways. Join the River Foss Society and York Curiouser artist Matt Hawthorn on a guided walk along the urban reaches of this beautiful and little-known river, the inspiration for some of the York Curiouser artists’ works, and the location of Matt’s performance on Saturday 28 June. Be inspired by the Minster’s banners and Sally Greaves-Lord’s designs to create your own bunting and add to a Remembrance banner. Threads Inspired by Susanne Davies’ thread work and the works on display that form the Aesthetica Art Prize exhibition, participants will create new artworks. Alternative Labels. Create your own museum label inspired by Janet Hodgson’s installation at Fishergate Posterntower and the museum’s collections. Curious Stories. Using John Wedgwood Clarke’s poetry as a starting point, we will read and create a series of new York Curiouser poems.